So, I wanted to do some research into this movie before posting a review. The new Mummy Movie is something interesting and I would encourage people to see it, so if you're ever bored on a hot summer day, and want to escape the heat, then check out this movie. The graphics were good, and the story line was very interesting. I was engaged the whole time and it felt like time flew by, but now down to the nitty gritty of it all, but will try to remain discrete. Now, most of us know that the 1999 film was created as a remake for the 1932 film of The Mummy. Both kept the plots identical where a young explorer finds himself in the tomb of Imhotep. They mess with things that shouldn't be mess with and up rises the Mummy. In the 2017 movie, it takes a bit of a twist. The only similarity to the 1999 film is that there is a woman archeologist, and a thief who sells treasures on the black market, except I don't think that the guy in the 1999 film was actually thief, just more of a explorer who got lucky and believed in the "Finder Keepers" rule, and for the fact it dealt with an Egyptian princess of some sort, oh, and the killing of the Pharaoh. The beginning of the movie was completely different, because it opens up in modern day Iraq. There is just something so endangering when you realize that something from Egypt had to be placed far away from its homeland. Two "explorers" leave their post and come across a tomb that has a very scary looking entrance that obviously should be heeded as a warning. 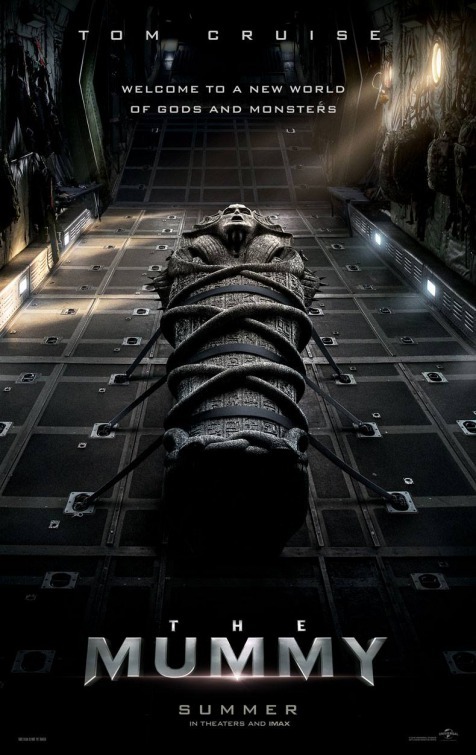 Basically, the same cliche, they did something that awakened the Mummy, except this one took more time to actually fully awaken. The action in it was pretty good, but I wish there was a bit more, and sometimes I felt like the movie went for some cheap laughs or was making jokes at times that were series, or just the delivery of the jokes or comical parts was not the greatest. The jump scares were pretty predictable but I think that is just my own personal issue, because I knew that certain things were going to happen because I've watched so many scary movies. I will say though that the actresses in this movie were on point. I felt chills down my spine every time Ahmanet was staring, but then played well when she was pleeing for help. The archaeologist was witty and very on key, but her second job seemed to kind of make this less of a Mummy movie, and I do not if it is because they are taking in the account for the previous "Mummy" issues. I was quite shocked that a certain doctor had made an appearance which left me to be quite confused as to why he was even in the movie to begin with, and then they began to speak about monsters, and how they fight to protect the greater good from evil. This left me perplexed. Was I watching a remake or something to a new series? The answer is both. 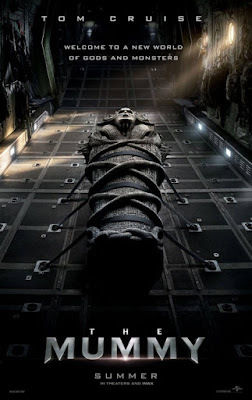 After doing some research I came across that this is indeed a Mummy movie to revive the "The Mummy" franchise, but it was also suppose to double to opening up the "Dark Universe" Series which is meant to have many other ghouls and monsters such as Bride of Frankenstein, and perhaps Dracula. Considering that Dracula Untold was meant to open up the Dark Universe series but was since downplayed that they moved so The Mummy would take the place as the first movie in the Dark Universe series. I can understand why critics had a hard time with this movie. I think that it was well made, and I would definitely watch it again, but at the same time it kind of lost its place and left me baffled on whether it was a completely movie separate from The Mummy series or if it was a completely different movie. I did find that the plot and the antagonist to be quite refreshing. I did like the story line a lot, especially the antagonist's backstory and how she ended up out of Egypt, but I have to agree that the whole placing of which franchise it belongs to (Dark Universe Vs. The Mummy) is a bit confusing, even if it is meant to be both. I still suggest people check out the movie, but I do not think I will be purchasing it to add to my collection.